God Values Heart Over Winning | GetAlongWithGod.comGetAlongWithGod | A blog about discovering a God worth knowing. I watched a movie called Eddie the Eagle a month or two ago and found it delightful. 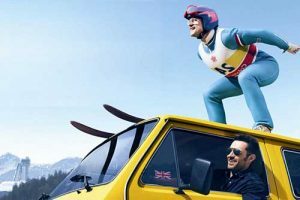 Though the movie takes many liberties with the actual story of Eddie Edwards, British ski jumper in the 1988 Winter Olympics, one truth came through intact: the man had a big heart. I think that it’s worth remembering, from time to time, that our God values heart over skill. Do We Value Winning More than Heart? Who doesn’t love a good underdog story? A come-from-behind victory? The nobody who surprises the powers that be? Of course, inherent to a good underdog story is the underdog winning. I know that there are exceptions, but it’s the exceptions that prove the rule. Eddie Edwards didn’t win. He didn’t even come close to winning! He did, however, change the course of Olympic history. So disturbed was the International Olympic Committee (IOC) by this brazen, low-skill amateur with the big heart that they changed the rules. In what people now call the Eddie the Eagle Rule, the IOC ensured that only the most highly skilled in the world would ever again compete in the Olympics. There will be no more Eddie the Eagle stories. It’s pretty shocking if you think about it. Edwards didn’t cheat by doping (Hey there, China!) or take out the knees of an opponent (Tonya, we hardly knew ye…). He had a heart to represent his country by competing in a sport he loved. What did Edwards do to prompt such a dramatic response? He had a big heart but small skill. He wasn’t a winner. The world tolerates all sorts of eccentricities when you’re a winner, because that matters more than anything else. If you play the game and win often enough, the rules will be bent to the point of contortion for you. Why? Because the world loves winners. We serve a victorious God. He is THE Winner. There is only one true Victor in this world, and it’s not us. But thanks be to God, Who gives us the victory [making us conquerors] through our Lord Jesus Christ. When winning matters to God, He takes care of it ALL. The victory that God values is unattainable apart from Jesus Christ. That’s why it’s the heart that matters most. What skill do I have that Jesus needs? Being alive and human. EVERYTHING ELSE is taken care of by Him. Everything! Our Lord is delighted with the Eddies that the world despises. No skill? No problem. 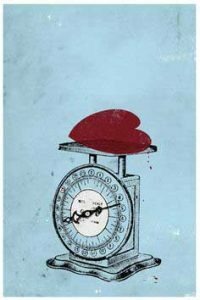 Big heart? Jackpot! I love a good winner and I love to win. But my values are now God’s values, and He has to write them on the core of my heart, whatever that entails. As the story of Eddie the Eagle reminds us, there are worse things than losing. Like never pursuing anything in the first place.